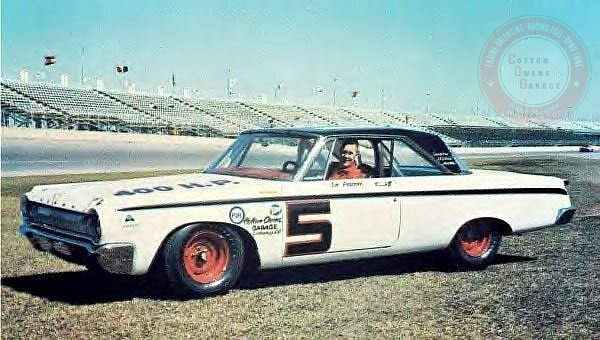 In 1962 Chrysler Motor Company consulted Cotton Owens, Ray Nichels, Ray Fox, and Maurice Petty about its future in stock car racing. 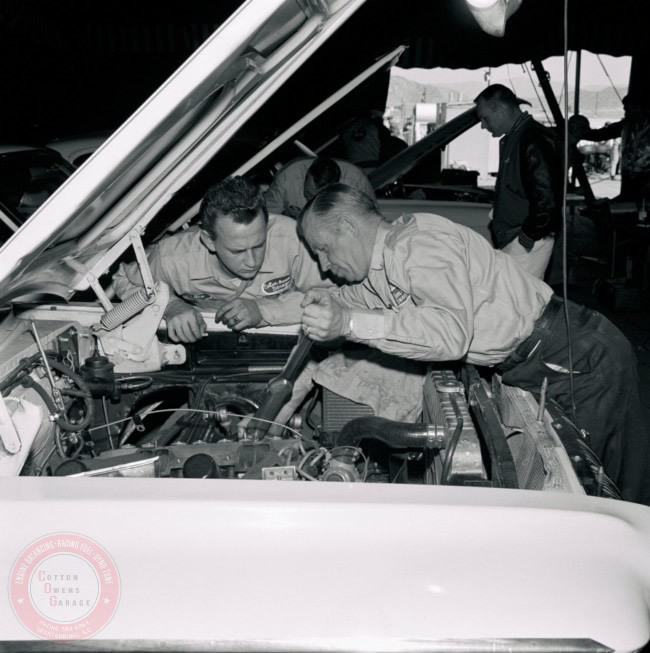 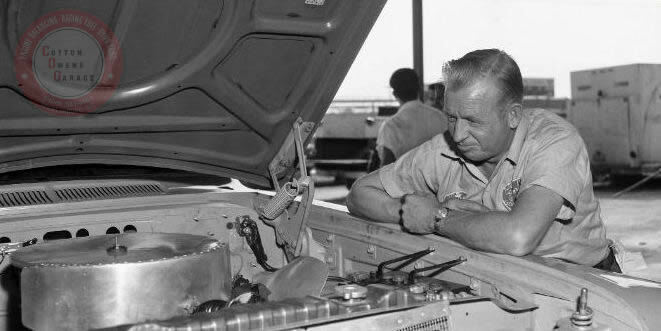 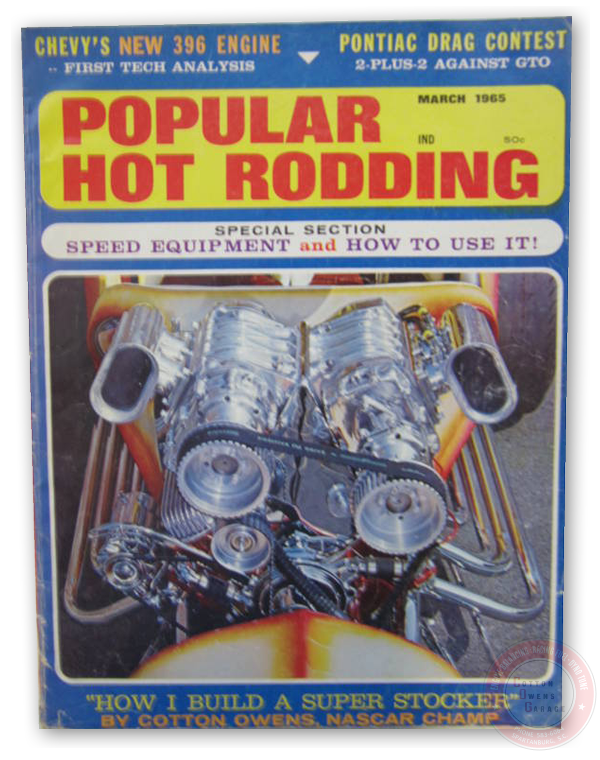 Owens mentioned to Gail Porter that Chrysler had a powerplant in the old Hemi engines of the 1950's and suggested that they convert them for modern racing. 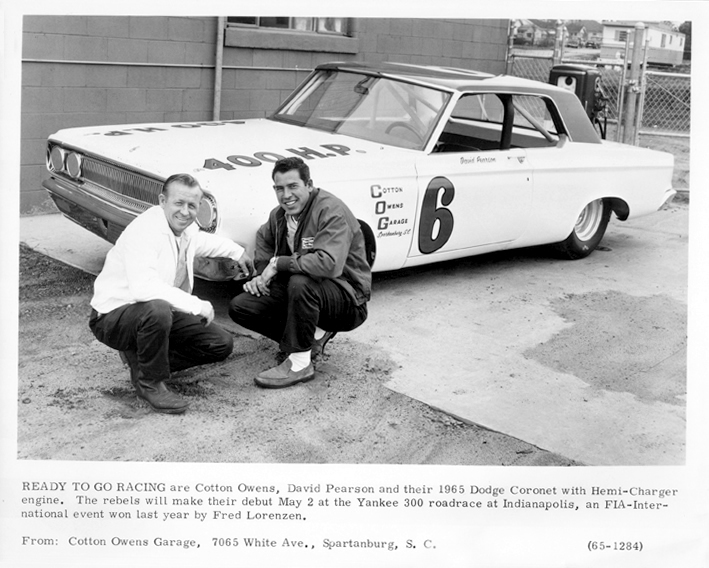 "I was more than a little surprised when he told me that if I was willing to come with Chrysler, they would build a completely new Hemi," recalls Cotton. 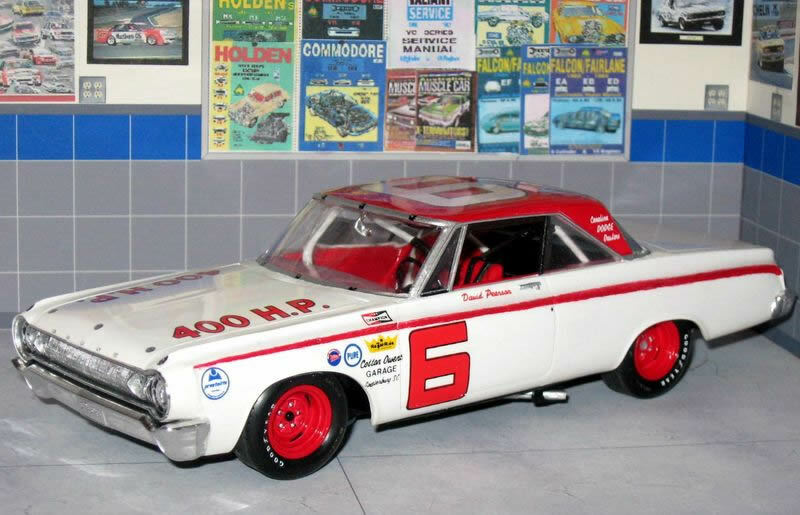 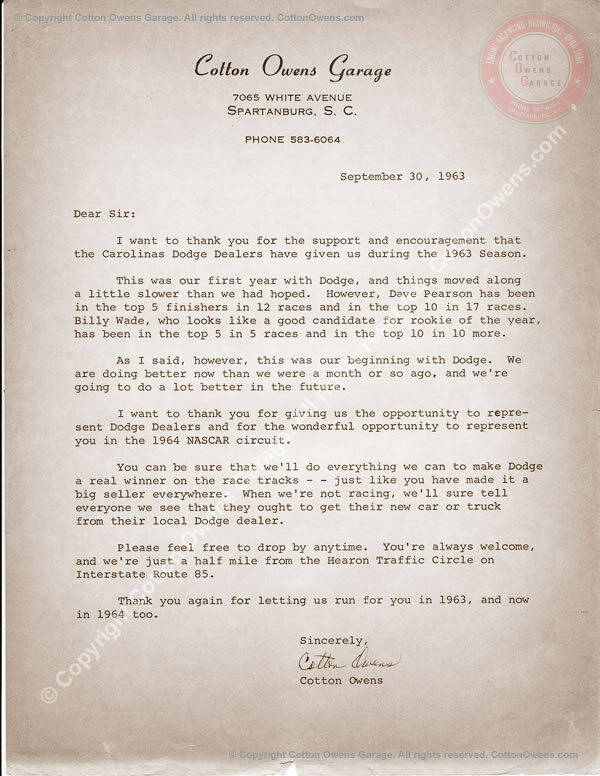 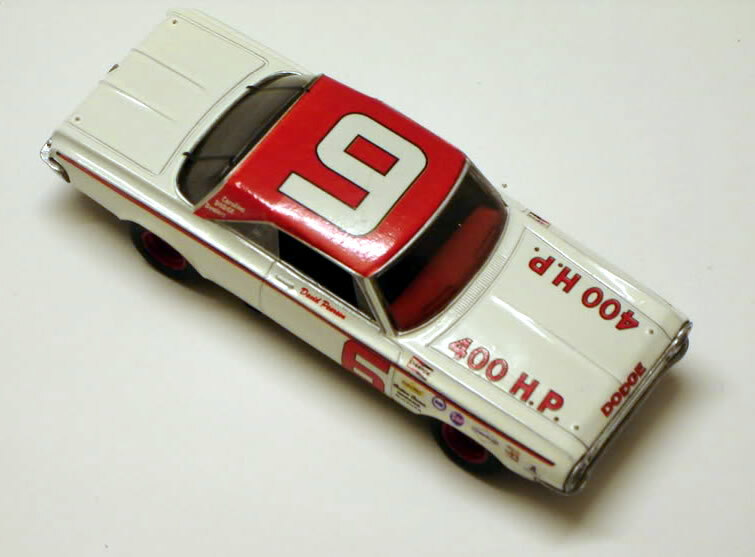 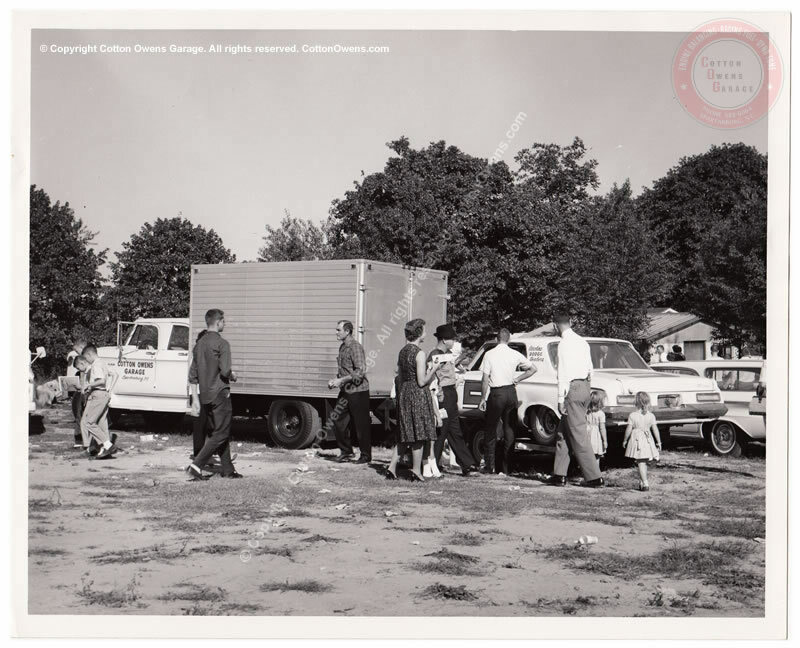 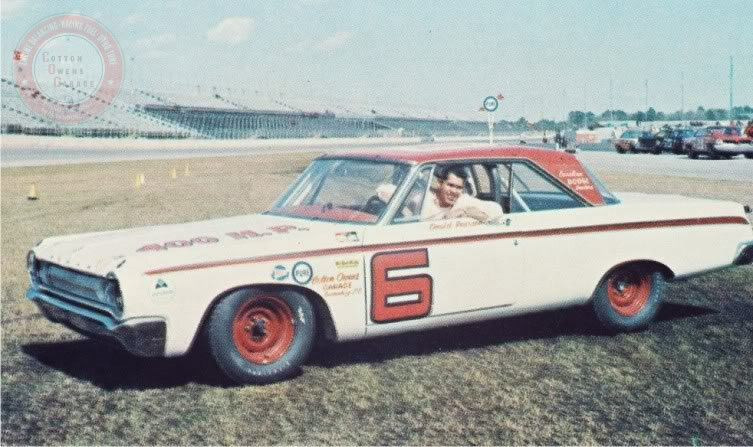 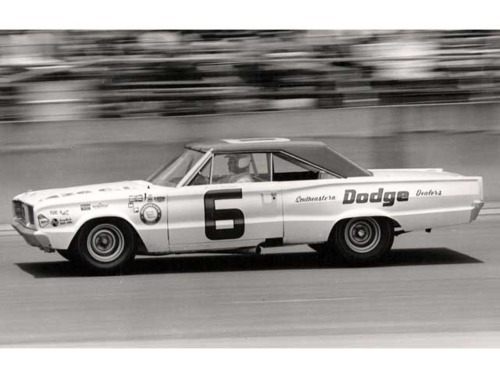 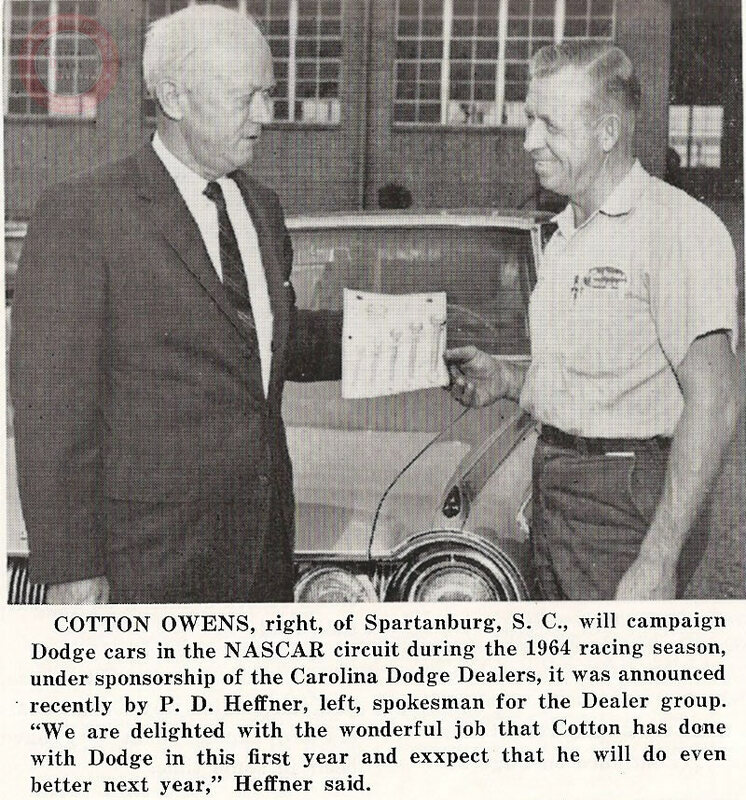 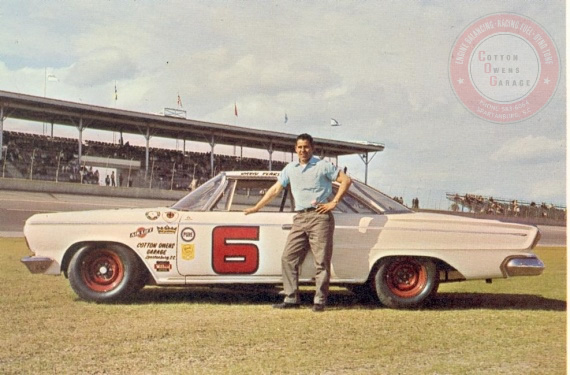 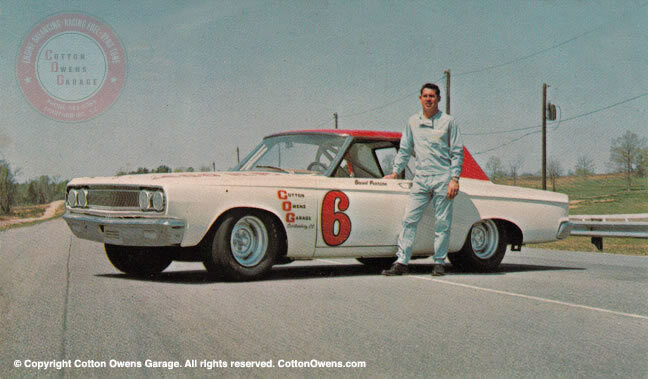 In 1963, Cotton would sign with Dodge as a factory team, fielding a stable of race cars for notable drivers including David Pearson, Billy Wade, Bobby Isaac, Jim Paschal, and G.C. 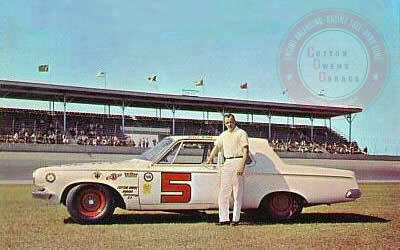 Spencer. 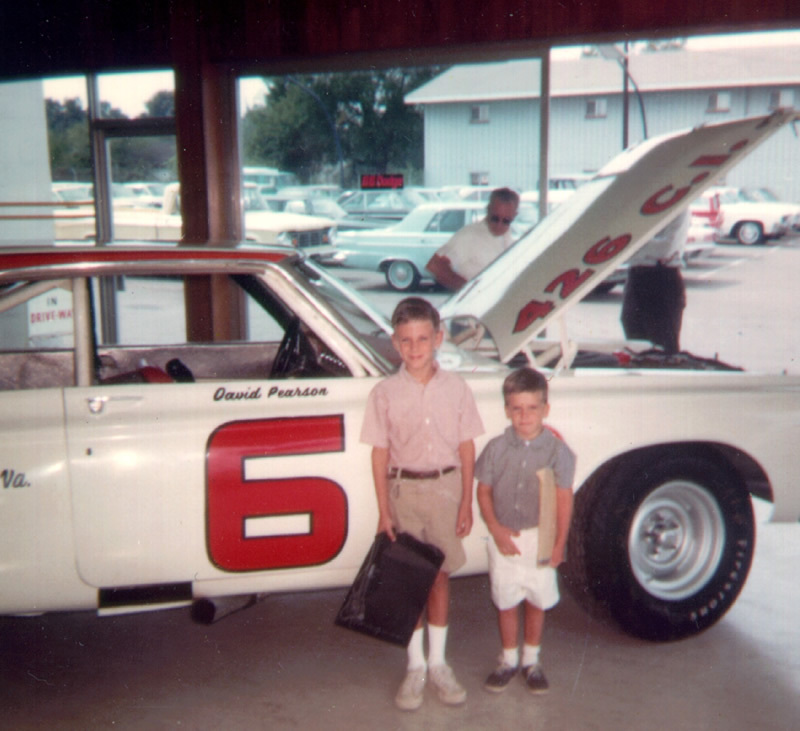 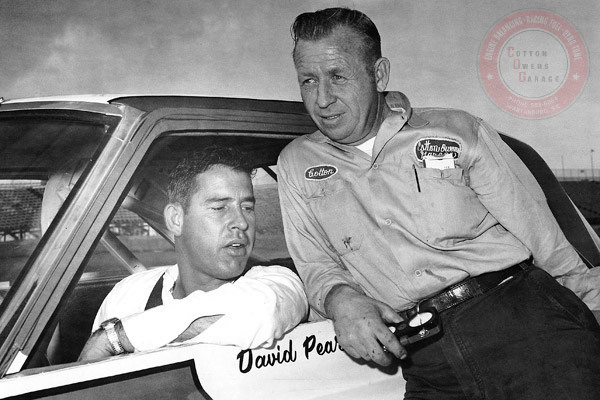 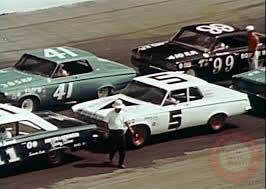 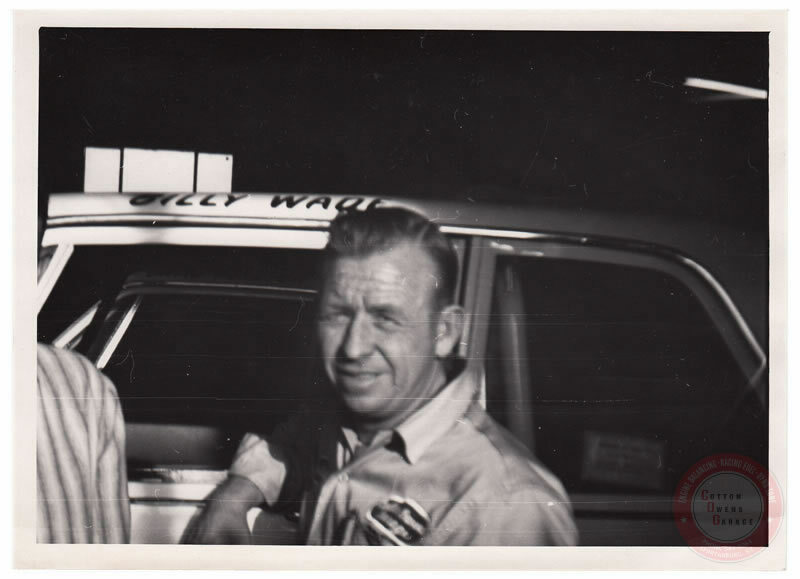 Pearson and Wade would be the team's top drivers, with 69 starts between them in '63. 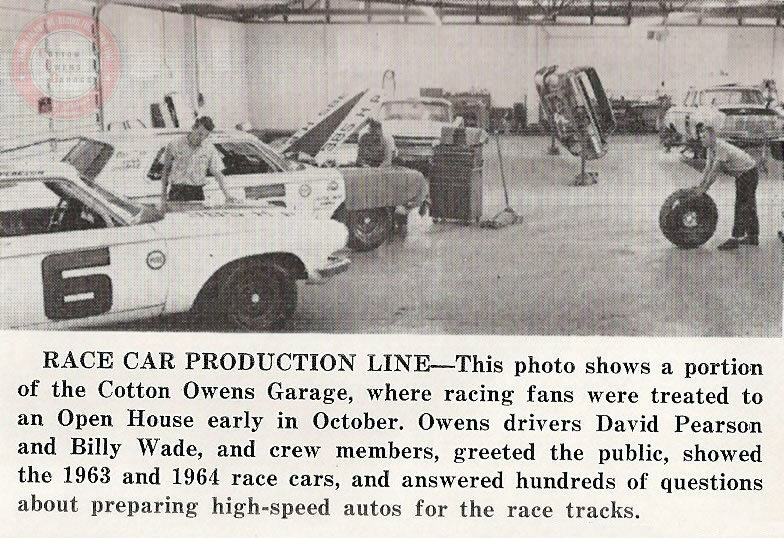 Owens built a new 20,000 sf garage behind his home, which would be the epicenter of racing in Spartanburg, South Carolina. 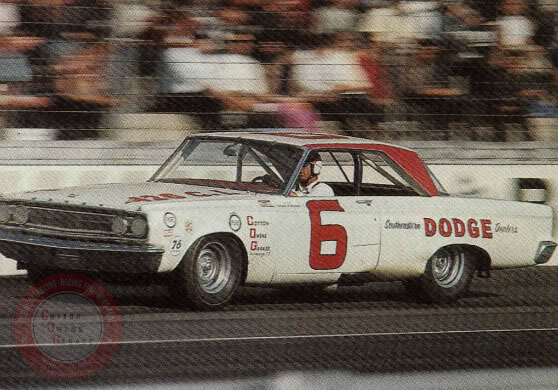 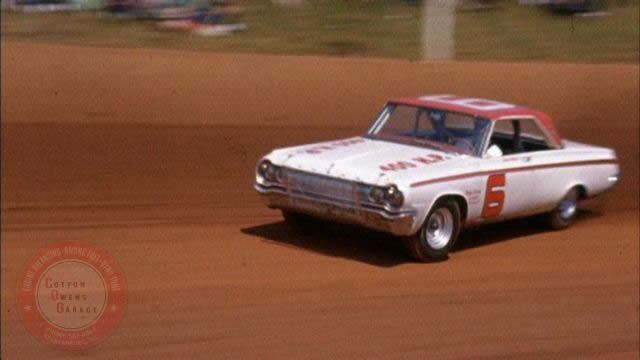 Although the team would not win a race in their first season with Dodge, they did earn 17 Top Five and 34 Top Ten finishes, as well as 2 Pole Positions. 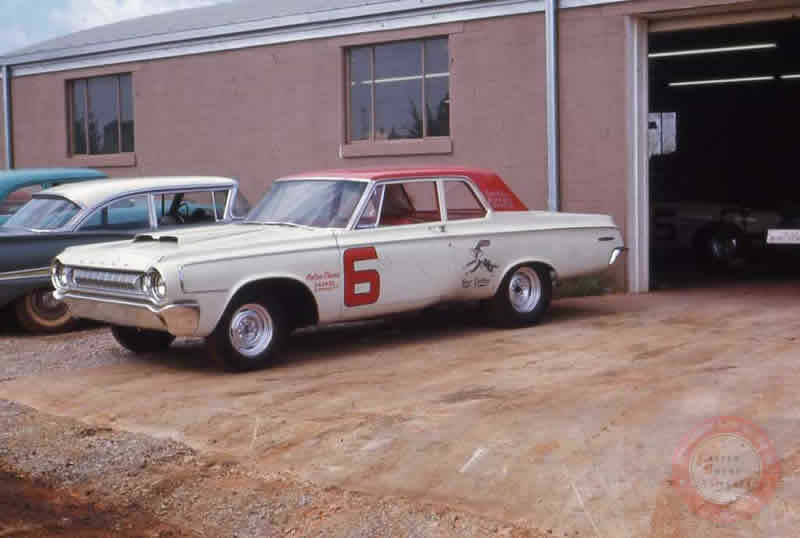 Chrysler released the hemispherical combustion chamber engine in 1964 and took stock car racing to a new level. 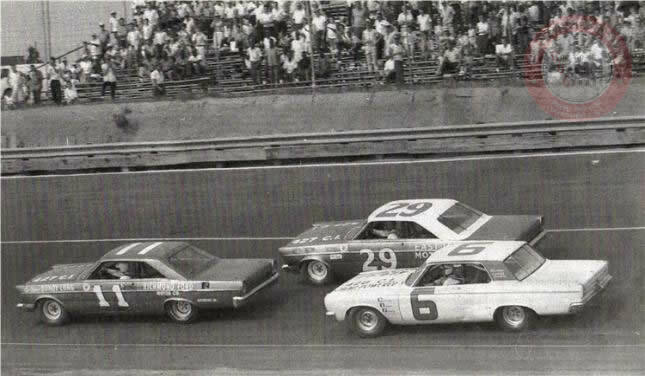 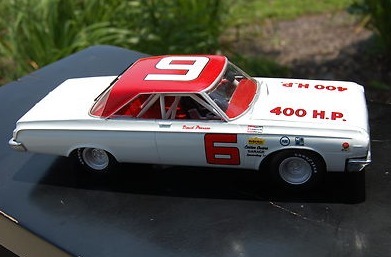 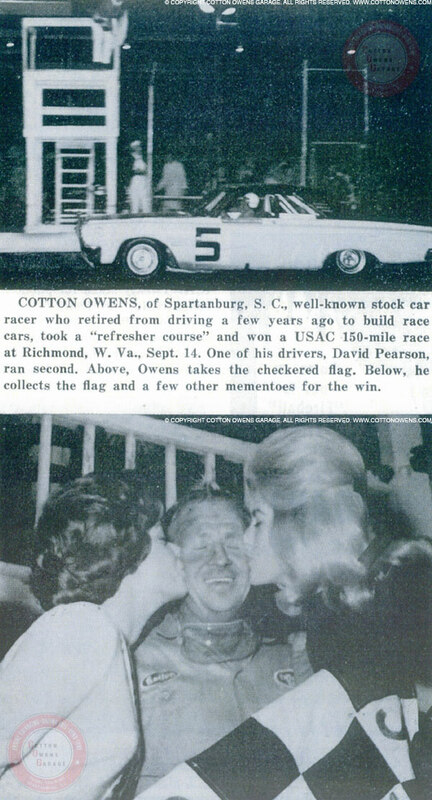 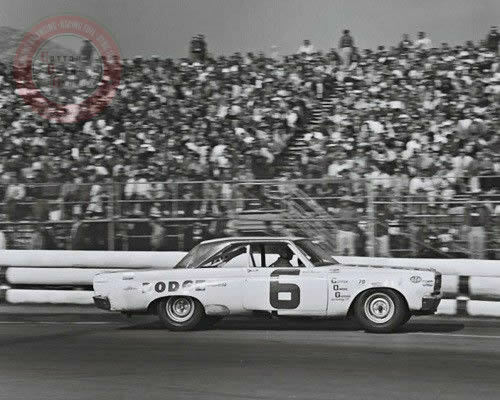 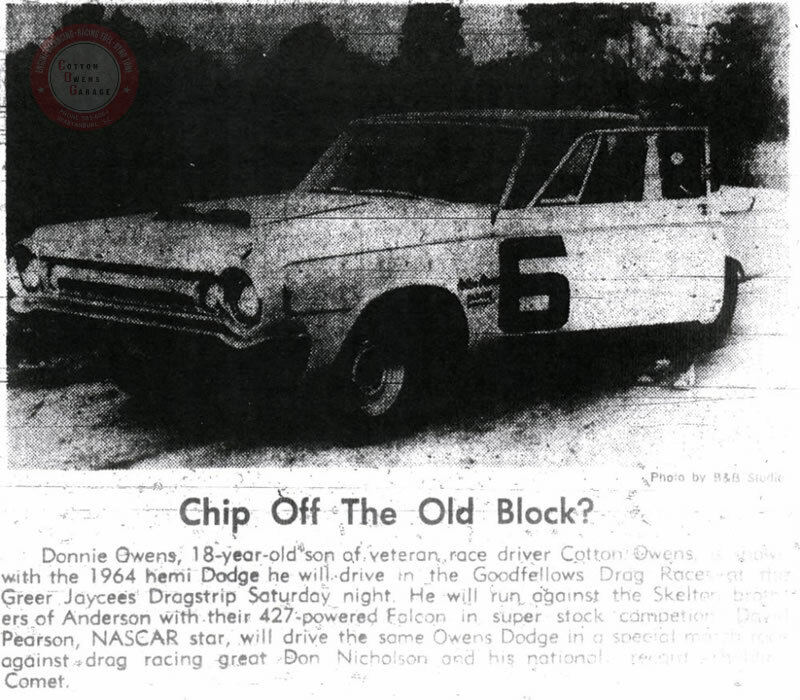 1964 would be the breakout season for the Cotton Owens team, with Owens tapping the Hemi's potential and hotshoe David Pearson capturing 8 wins on the Grand National circuit, 29 Top Fives, and 42 Top Ten finishes as well as 12 Pole Positions in 61 starts. 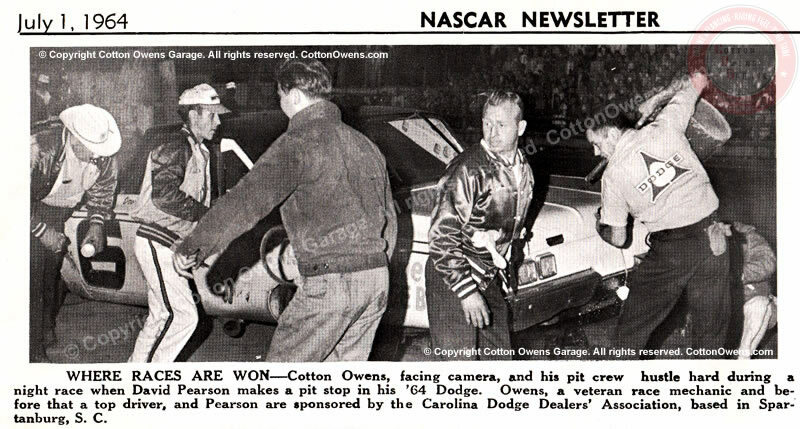 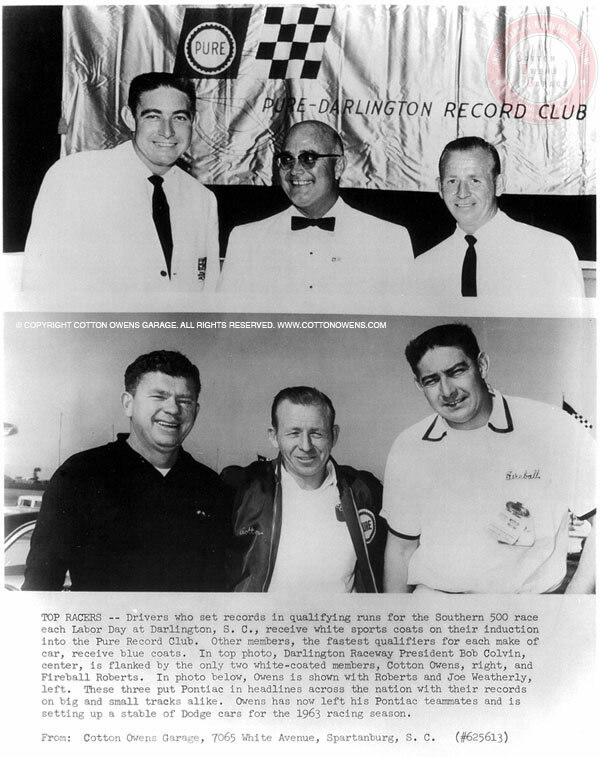 Owens himself would even briefly step out of retirement to show Pearson a thing or two about pit stops and taking care of his equipment at a USAC race in Richmond in 1964, where Owens wound up winning and Pearson finished second in a now infamous race. 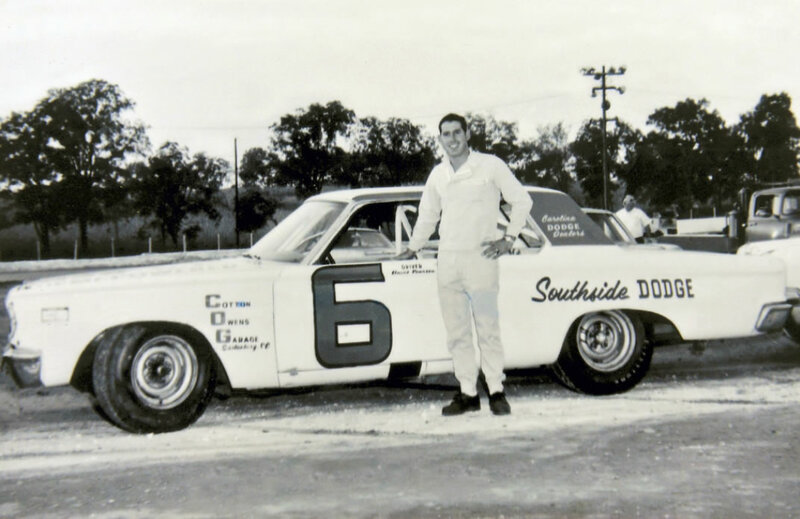 Pearson would go on to finish 3rd in the Grand National championship standings, setting the stage for a partnership that would see continued success in the years to come. 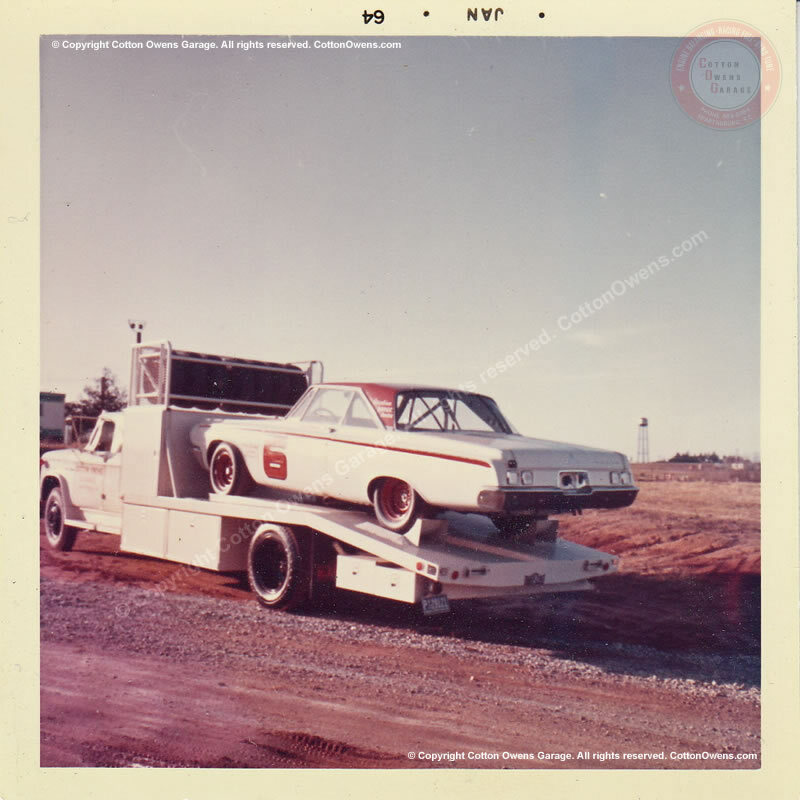 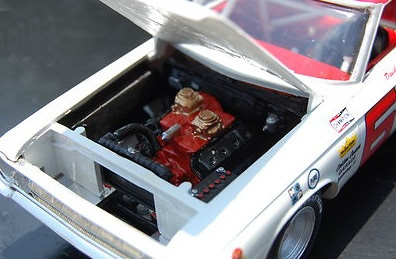 That success would soon be interrupted, however, as the Hemi powerplant proved to be so dominant that NASCAR banned the Hemi from competition in mid-1965, and Chrysler in turn boycotted NASCAR racing. 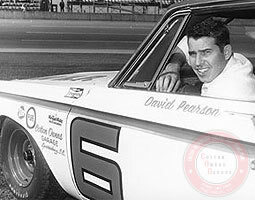 Pearson did manage to run 14 races in 1965, with 2 Wins, 8 Top Fives, 11 Top Tens, and 1 Pole Position. 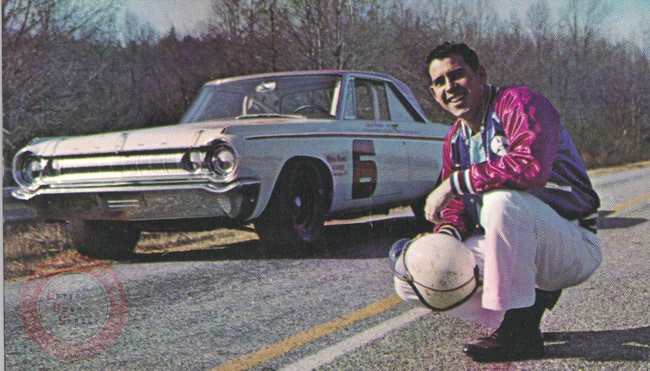 NASCAR bans the Hemi and what's a racer to do? 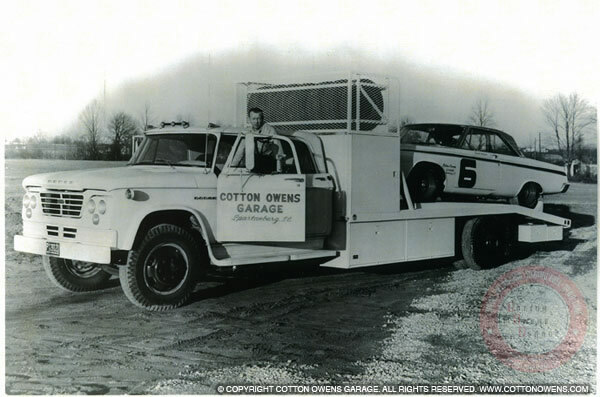 Well, if you can build 'em like Cotton Owens can, you go drag racing, that's what you'd do. 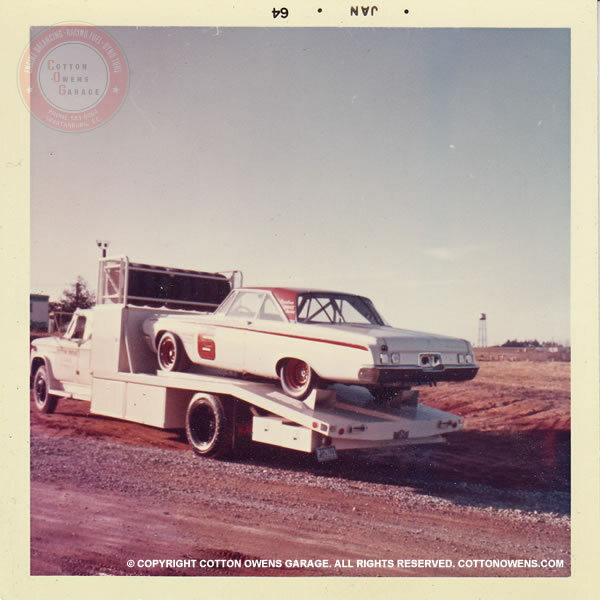 Cotton turned a 1965 Dodge Dart into more like a missle on the quarter mile, putting a Hemi in the back of a Dodge station wagon, painting it yellow, and calling it The Cotton Picker. 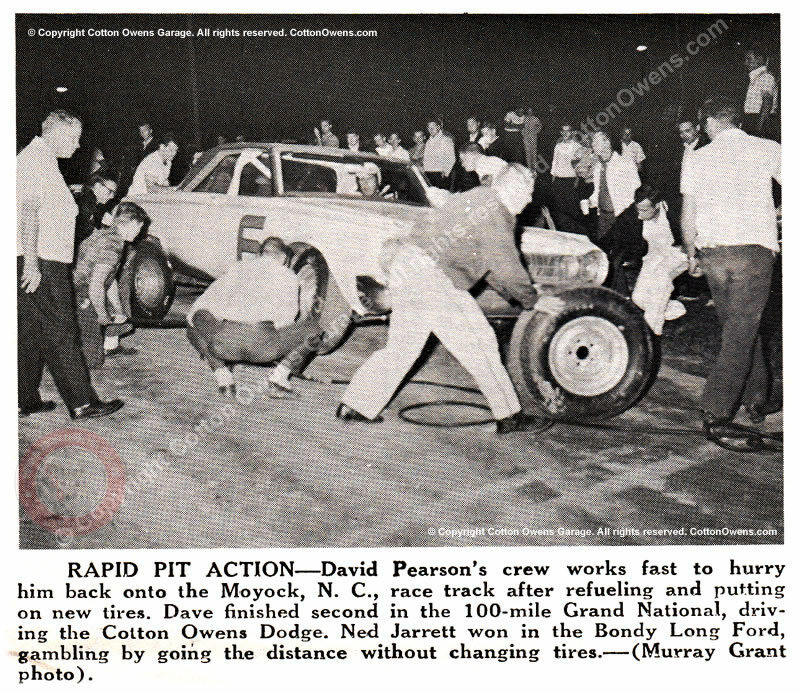 Grudge matches were held across the South, against the likes of Richard Petty, Fireball Roberts, Fred Lorenzen, Curtis Turner and other NASCAR stars, with The Cotton Picker regularly turning times of 10.41 @ 140.63 mph in the quarter mile at tracks such as Spartanburg Dragway, Bristol Dragway, and Atlanta. 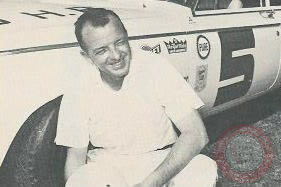 Cotton pulls in the garage at Daytona in 1963. 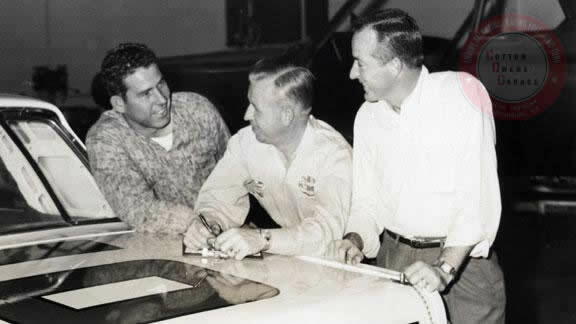 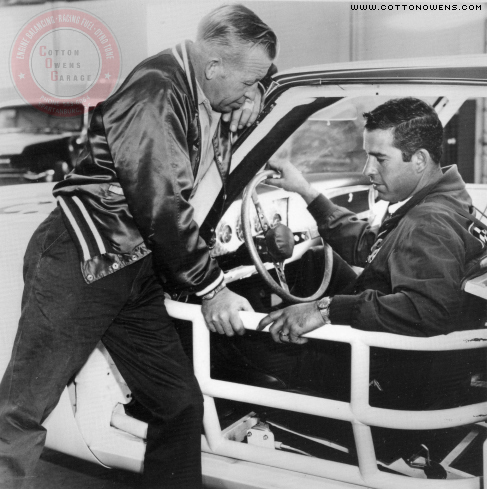 Cotton Owens, left, one of NASCAR's top race car builders, discussed his new roll bar design with driver David Pearson. 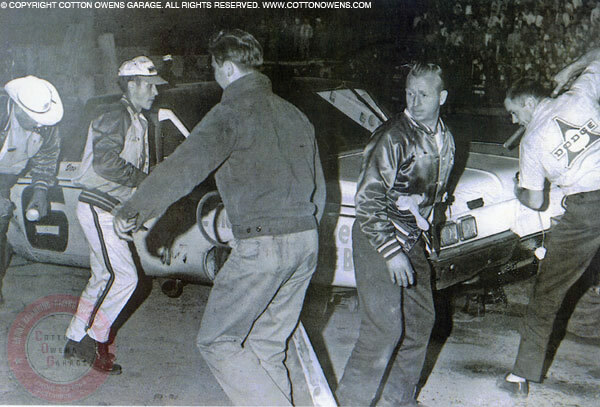 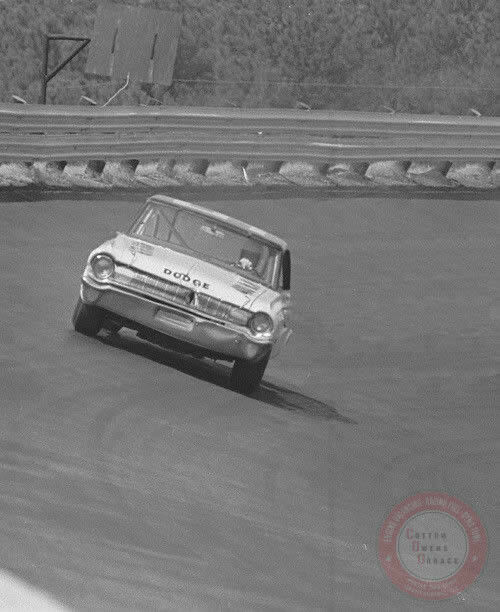 Owens went beyond existing rules and added an elbow-high bar after two NASCAR drivers were killed in driver's side crashes this year (1963). 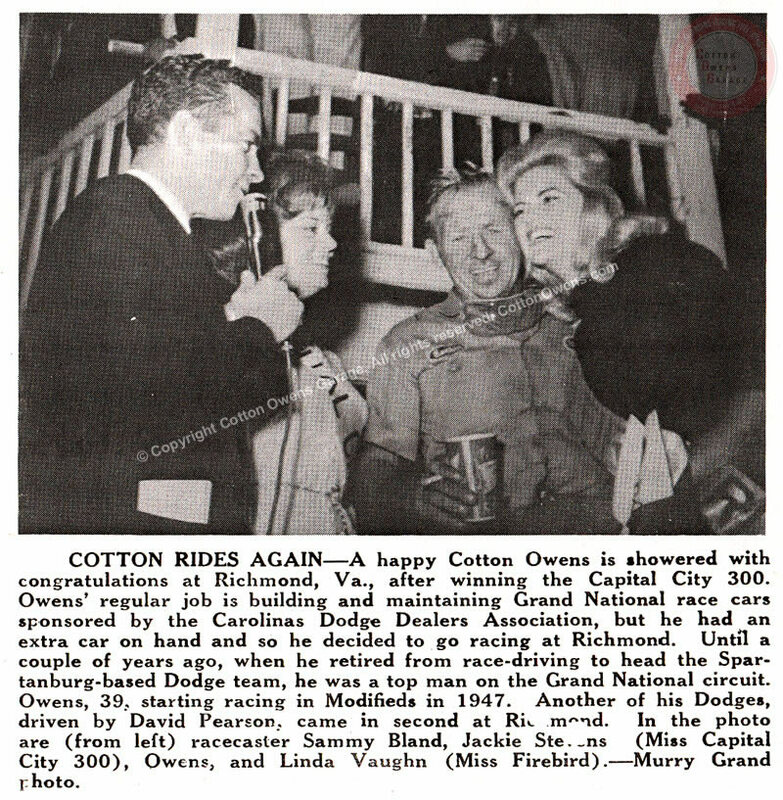 From: Carolina Dodge Dealers. 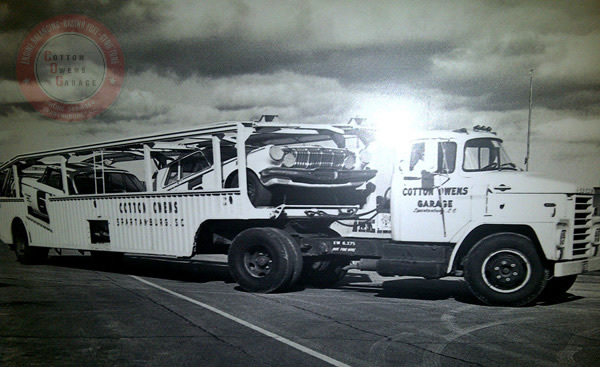 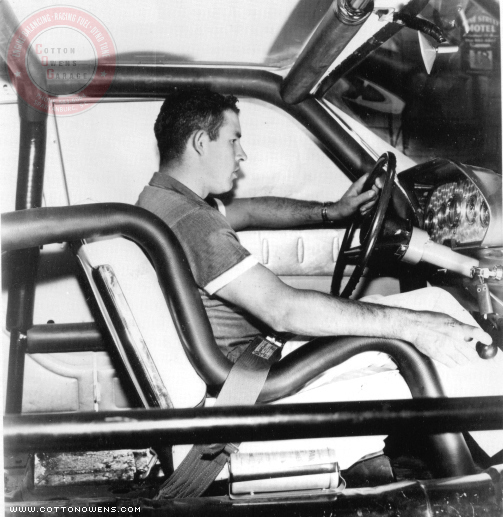 Other notable safety innovations by Cotton Owens include the padded steering wheel hub, fuel check valve, .108 wall seamless rolled moly tubing roll bars, and numerous other improvements in both safety and race car design and construction. 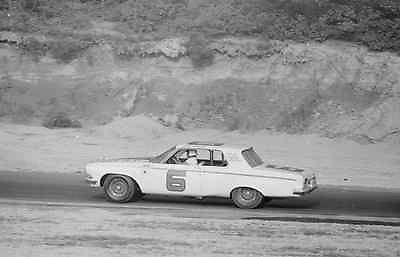 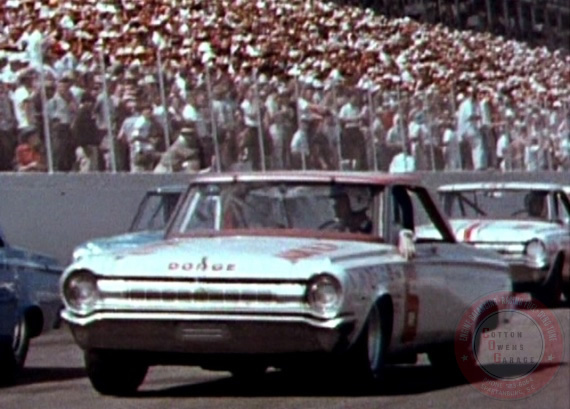 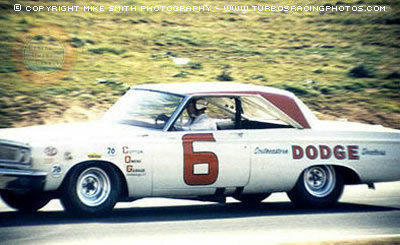 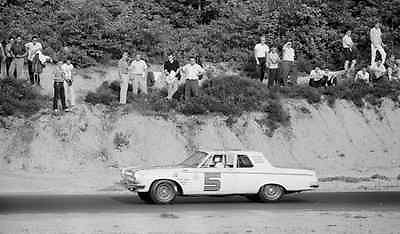 David Pearson pilots this 1965 Dodge Coronet prepared by Cotton Owens at Riverside Raceway in January, 1966. 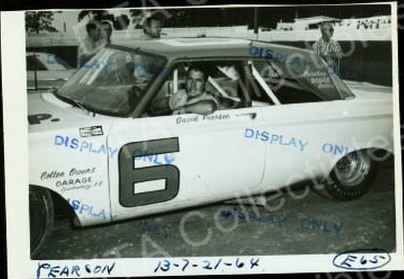 Pearson qualified at 106mph and also won the Pole Position. 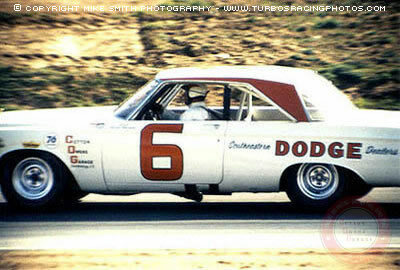 He finished 2nd to race winner Dan Gurney who led 147 of the 185 laps. 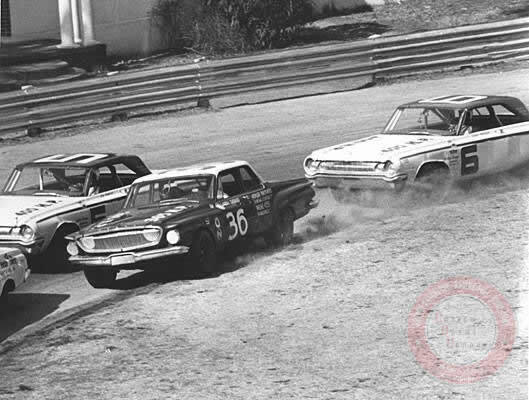 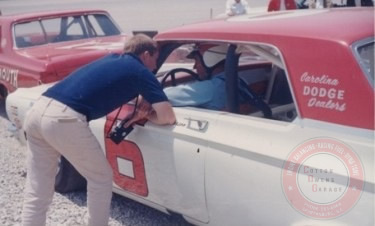 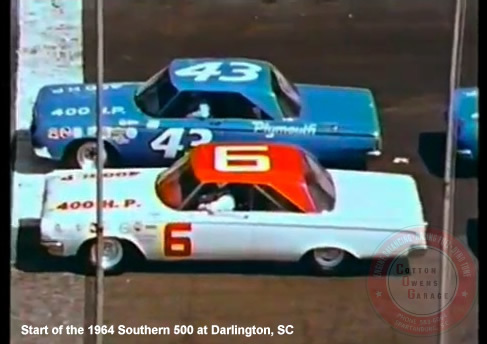 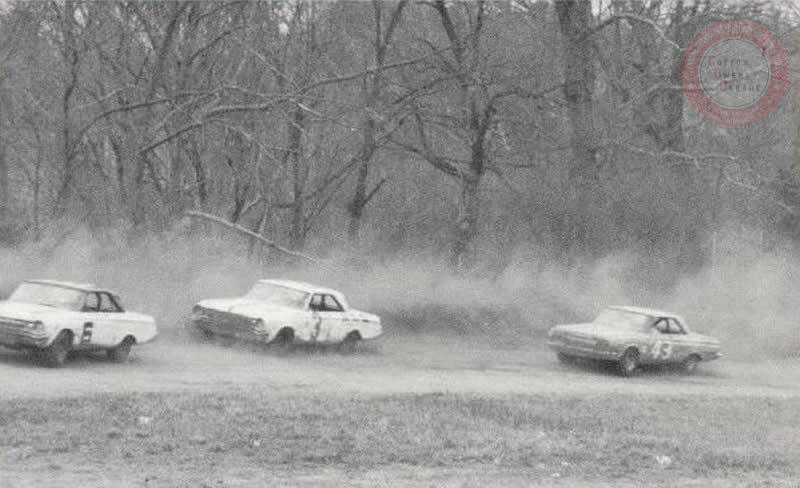 David had a heated battle with Curtis Turner, which included a few off-track excursions. 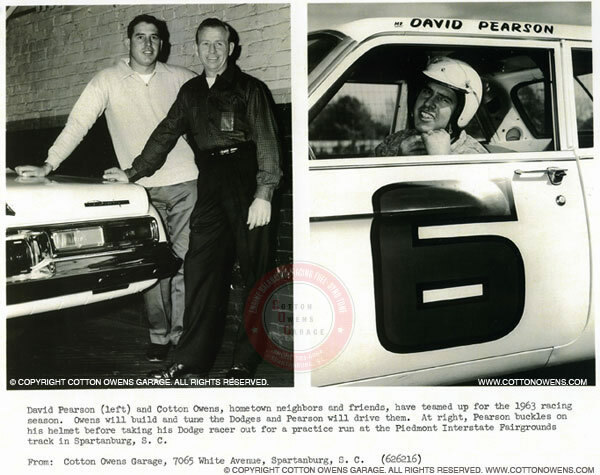 David won the Grand Nationial Championship in 1966, winning 15 races and taking home $58,205.